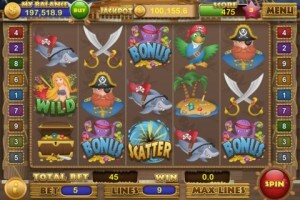 Slot Bonanza iPhone Game Review. We all gamble. Whether it's something work related, a love matter or classic horse, dog, car, football or casino bets, at some point, we all gamble with something. Mainly because of the thrill. And now, you can live that thrill, without having to go to any race or casino. 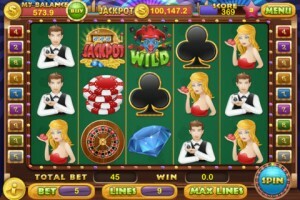 All you need is Slot Bonanza on your iPhone or iPad, and you're all set to gamble. The worst part about gambling is losing, of course. 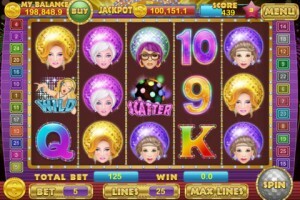 But the great part with Slot Bonanza is that the game is more of a time waster, rather than a money spender. Because, with Slot Bonanza you don't win or lose actual money. You have a number of coins at the beginning of the game, without having to invest any actual money. And once you start playing, you lose or win coins, not actual money. Plus, you also get daily bonuses. So, even if you lose all your coins today, you can come back tomorrow and start fresh. However, this doesn't mean it takes all the thrill out of gambling. It's still exciting when you get all those identical slots lined up and your coin number increases. You're the one who decides just how much to gamble. And if you get in too much of a frenzy, you might actually end up spending on in-app purchases to increase your coin number, without getting to win any actual money. So, live the thrill, but remember not to lose your head. Because, Slot Bonanza might be safer than actual gambling, but it's not 100% risk free. That's how Slot Bonanza feels if you're a bit of a gambler. 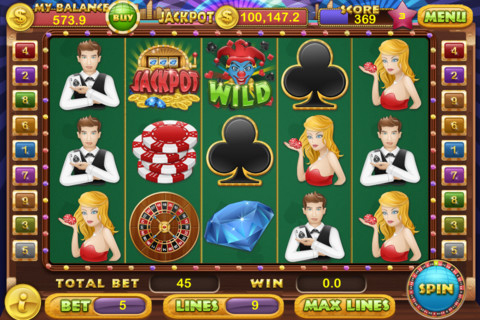 Now, as far as game play is concerned, Slot Bonanza is a pretty basic, easy to play game. All you need to do is pick a slot machine from the list, place your bet, and spin it with a single tap. The more times you win, the more coins and points you get, and the faster you unlock other slot machines in the list. Plus, there are also Mystery Boxes carrying surprise wins. And even if you lose, look at the bright side: the value of the jackpot increases. Now, if you are fond of gambling, you'll probably find Slot Bonanza to be a fun game, although not as thrilling as the actual thing. I, personally, am not a gambler. So, Slot Bonanza was just a cute game for me, that I played for a couple of times and that's about it. The most use I could get out of it was learning just how lucky I am today depending on how many times I win. Other than that, I find it completely random, thus lacking that incentive to keep me hooked and wanting to play again and again. But, don't get me wrong. This doesn't mean Slot Bonanza is a poor game. It's just not for people like me. But, if I gave it a try, why shouldn't you? Especially if you're a fan of these games. Slot Bonanza is also available for the iPad in HD here. What do you think of Slot Bonanza? Scroll down for our comment section and let us know! Can You Stop Those Fish?